Newt Gingrich is a host of Crossfire, which airs weeknights at 6:30pm ET on CNN. Gingrich was a Republican candidate for President of the United States from 2011 to 2012. His broad policy agenda focused upon energy development, national security, scientific advancement, and immigration reform. 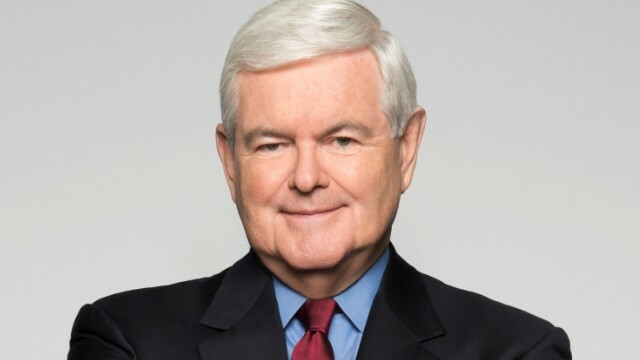 Recognized internationally as an expert on world history, military issues, and international affairs, Gingrich served as a member of the Defense Policy Board, as well as a distinguished visiting scholar at the National Defense University, and a senior fellow at the American Enterprise Institute. Gingrich is a former college professor of history, environmental studies, and geography. He is the author of more than two dozen best-selling historical novels and public policy books including, To Renew America, A Nation Like No Other, Gettysburg, and Victory at Yorktown: A Novel. His upcoming book, Breakout, will be released in November 2013. Gingrich and his wife, Callista, also host and produce historical and public policy documentaries at Gingrich Productions. Recent films include Nine Days that Changed the World, Ronald Reagan: Rendezvous with Destiny, and Rediscovering God in America. Gingrich received his B.A. in history from Emory University in Atlanta, Georgia, and his M.A. and Ph.D. from Tulane University in New Orleans, Louisiana. See more from Newt Gingrich on Crossfire.